It seems that this perennially popular look is gaining more and more fans by the minute! One of the latest and hottest trends in kitchen design isn't actually a trend at all -- it's a classic: the white kitchen. It seems that this perennially popular look is gaining more and more fans by the minute! As I mentioned in my post on trends in luxury kitchen cabinets, the white of today's kitchen is a crisp, bright white, rather than the softer ivory or off-white tones used in the past. I love the timeless quality of the white kitchen. It's versatile and fits just about any style and space. Below are some of my favorite reasons to use white in a kitchen and examples of how different materials, fixtures, details and finishes can be employed to transform the style from traditional to modern. Whether you're working with the compact layout of an urban high rise or the more open space of a suburban residence or vacation home, a white kitchen is a great option. White can help open up a smaller space and make it feel larger and brighter. In a more amply proportioned kitchen, white creates a fresh, clean and invigorating feeling. White is perfect for a streamlined, modern aesthetic; it reads "minimalism." I love using high gloss or lacquered white finishes in modern kitchens because it looks fantastic when combined with sleek hardware, glass, or even polished nickel finishes. White also works wonderfully in transitional kitchens. I often use natural materials such as marble and agate to introduce white into a transitional design. Painted white cabinets lend a more organic sense to these kitchens and help bridge the gap between modern and classic. White provides the perfect counterpoint to any other color yielding a high contrast for optimal visual impact. 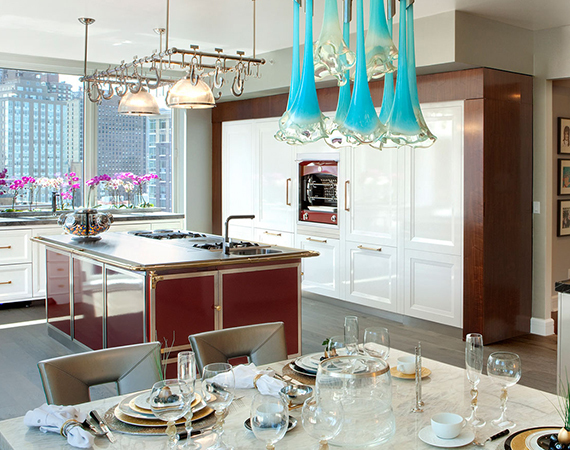 For example, bright white cabinets offset by a burgundy La Cornue island highlight the vibrancy of that focal piece. 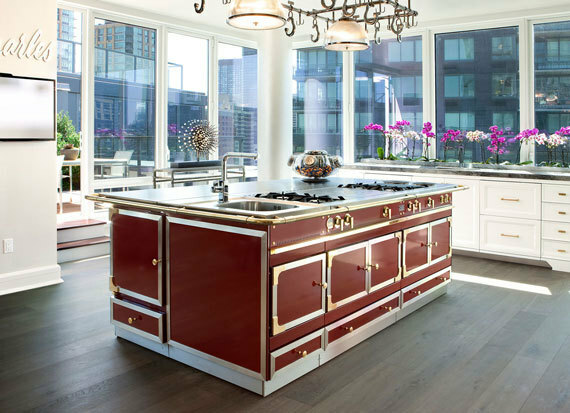 Another touch of drama: Try dark wood cabinetry, such as a fumed oak or rich walnut, framing high definition white. It's a bold look that will help emphasize the rich tones present in the wood grain. Pit white against any other single color and that sharp contrast will always result in a winning look. You don't have to take my word that white is white hot. 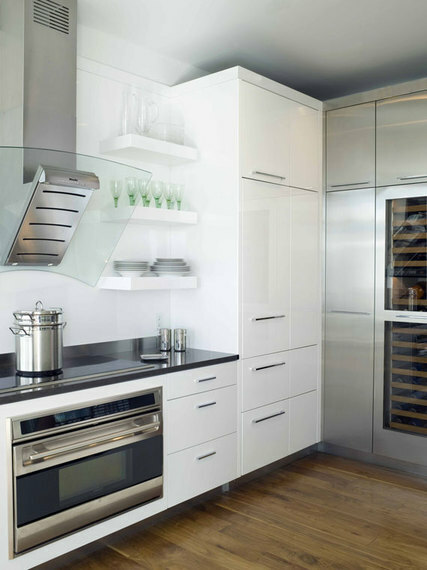 Appliance manufacturers are now rolling out units with a bright white finish as a fresh alternative to stainless steel. Miele's Brilliant White Plus line, is just one example. 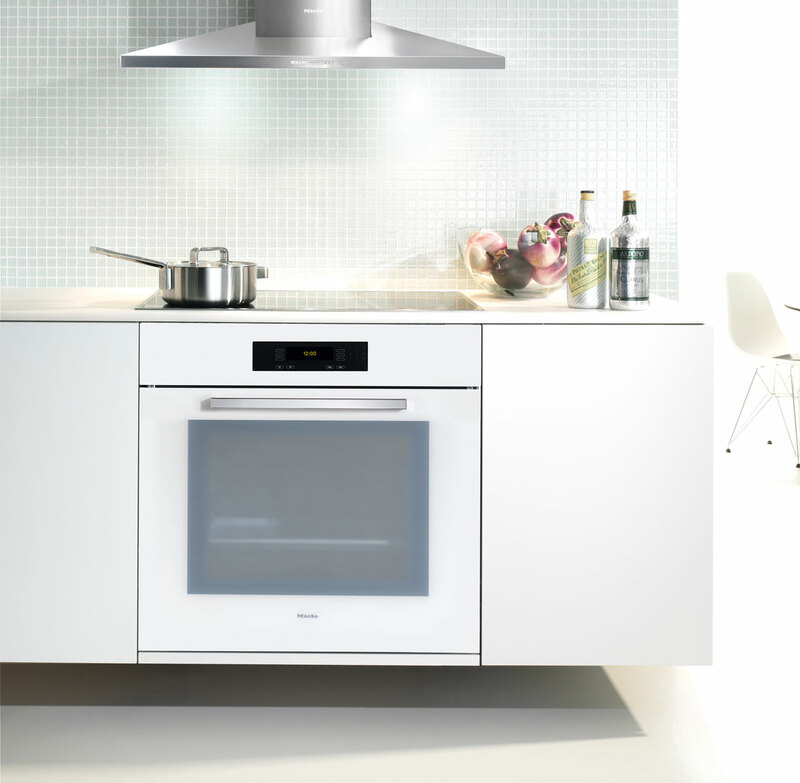 The white glass fronted ovens and warming drawers in this series are an elegant addition to any kitchen. 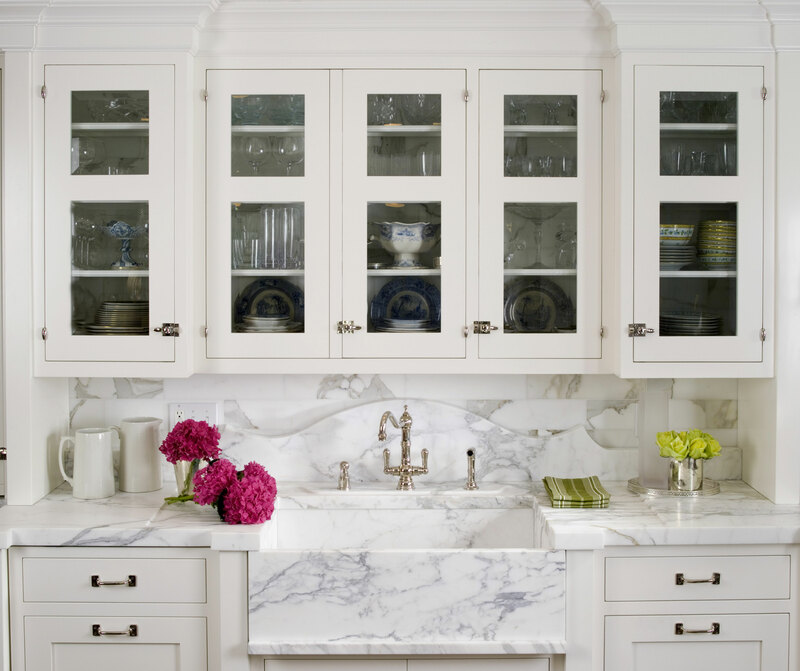 The white kitchen is a classic style that will endure in the years to come. For my part, I know I will continue innovating how I interpret it, and develop novel ways of expressing sleek and elegant designs in this one-note palette.